So you think you know what I do?? Home > Blog > So you think you know what I do?? Your accountant is someone you deal with every year on an ongoing basis, pretty much for your entire adult life, but what exactly are you paying them to do? 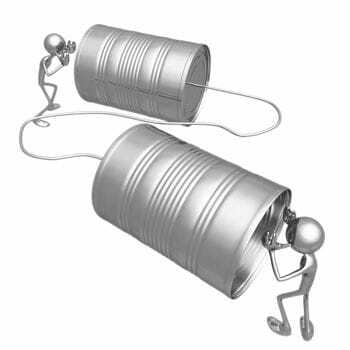 Like engaging with any service provider, to get the best out of them, you need to be able to have clear and regular lines of communication. You also need to have some understanding of what they do and where they can add value to you. Engaging with an accountant can mean different things to different people. As a university student, you generally don’t need one at all. As a junior doctor, the engagement generally entails just a year-end tax return. But as your income increases, your financial affairs get more complex, and with this comes the need for more outside help. It’s true, a big part of what an accountant does relates to ‘tax compliance’ – preparing tax returns and BAS, some bookkeeping work, and just general financial administration. As mundane as it sometimes seems, getting this stuff wrong can cost you lots of time, stress and money. You’ll get the best out of any advisor when they are speaking to you regularly, giving advice at the time you are making decisions, and getting the most out of an accountant is no different. Most important financial decisions have tax implications that you need to be aware of BEFORE you make a decision. For example, buying into or setting up a business has a range of tax implications – in terms of business structuring, administering staff, financing equipment and more. This is something an accountant deals with regularly, and if you can be talking to them as you formulate a plan of attack, your chances of getting a better outcome will increase enormously. Tax law is constantly changing, so don’t be surprised if sometimes your tax agent says ‘I don’t know - yet’. They are the best expert to research the issue and come back to you with a great solution, regardless of the changing legal landscape. Accountants also work in teams, so in addition to the person you normally speak to; there are a number of other accountants in their office that prepare various aspects of your work on an ongoing basis and can be drawn upon with a range of expertise to assist you. Most importantly, you have to have a good rapport with the people advising you. It’s a long term relationship, where open communication and rapport go a long way to making the association a happy one.